"California Dreams" theme song ... the original Wildfox? I was never a huge fan of "California Dreams," despite the fact that it was a grown-up version of my all-time favorite show as a child, "Kids, Incorporated." 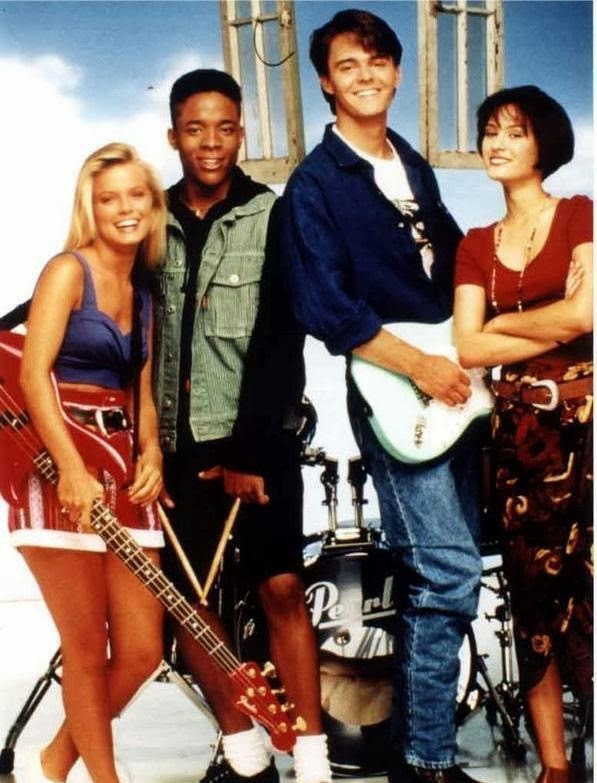 Though "California Dreams" started airing in 1992, I don't think I started watching it (even then only in passing) until I was in middle school, when it aired in reruns on Sunday afternoons. Still, I wanted to see what Tiffani and Tony looked like now (or in 2010), so I clicked on the Jimmy Fallon reunion video, and I (re)discovered the best theme song of all time. I mean, it's almost wasteful to have used this song on a less-than-60-second opening. All jokes aside, now I want to go back and watch all of the episodes and relive that carefree Saturday morning carefree, "laid-back mood" I had as a kid. Even if it didn't happen with this particular show the first time around.